It is hard to believe it has been six months since I left the security of my job of 12 years as a Children’s Intensive Care nurse. I’ve stepped into a role which is much more undefined and a heath care system that is very different from that of the NHS. 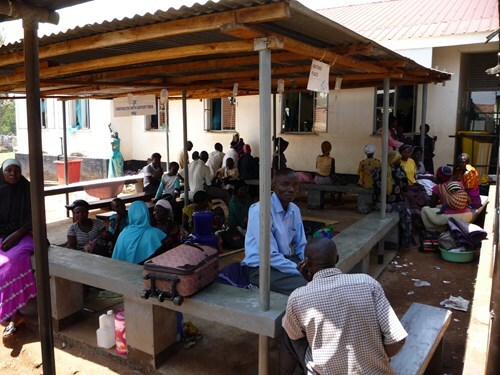 I was sent by Operation Orphan to facilitate and develop a relevant and sustainable health response to their project in the Eastern Ugandan town of Mbale. Much of this time has been used to build relationships, identify charity health work being done in the area, understand the health care system, adjust culturally and allow God to show me what he wanted me to do. One of my first experiences of child health care in this town shaped all that has taken place since. I was at a clinic, observing and learning, when a baby I had seen being delivered two days earlier, got my attention. All my ‘recognition of the sick child alarms’ were going off and I knew he needed to get to hospital. What followed was 7 hours at the government hospital doing all that I could in the most resource-poor environment to save his life. By the end of that day, despite everything, I felt he was going to die and so prepared to take him back to his mother. At that moment, a specialist charity hospital with a children’s intensive care unit agreed to take him. He received the care he needed (paid for by a charity in Mbale) and is now completely recovered. This experience, although heartbreaking and overwhelming, helped me to see the preparation of the last 12 years and my passion for acute hospital work. Since then the nurse registration process, rather than being a spring board to the community, has become a foundation from which I can be a presence at the government hospital. Through this process I have built relationships, gained the trust of the senior nurses and learnt more about the systems and politics surrounding healthcare here. Once registered these concepts of relationship, trust and mutual learning will become the backbone of capacity building. This will not happen quickly but step by step, over time and hand in hand with community work. 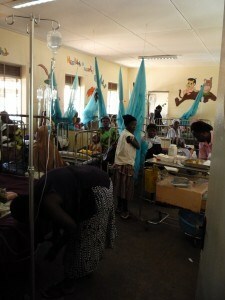 As well as the hospital work, I plan to get involved with community health education. In particular child health; focusing on nutrition, sanitation, immunisations, malaria and pneumonia. The issues of why children present to the hospital so late and so sick is complex and one that I am understanding more and more as I spend time here. However, what is clear is that community work, through education and promotion, is only one aspect, and often the needs in the government hospitals get neglected. This too is a complicated issue which I will save for another blog. So six months in Mbale and a plan is coming together. A plan God is guiding and revealing. I am learning patience (with myself and others! ), especially regarding work permits and registration paper work, and I’m learning to laugh in the face of many different insects. Well its laugh or cry!